A crowdfunding campaign for Wendi Wright claims she tried to schedule a meeting to speak with Republican Congressman David Kustoff about his health care vote — before allegedly trying to run him off the road in Tennessee. UNION CITY, Tennessee — A crowdfunding page set up by friends and family of a woman accused of endangering a United States congressman says she was upset the lawmaker didn't return her requests for a meeting or to set up a town hall about the ongoing health care debate. Wendi Wright, 35, from Union City, Tennessee, wanted to discuss Republican Rep. David Kustoff's vote to repeal and replace the Affordable Care Act — also known as Obamacare. The measure, which passed the GOP-led House of Representatives earlier this month, has now moved to the US Senate. Wright was arrested and charged with felony reckless endangerment on May 8 for allegedly trying to run Kustoff off the road after he left the University of Tennessee at Martin, according to the Weakley County Sheriff's Department. Wright reportedly followed a car occupied by Kustoff and two others on a highway and placed them "in fear of being forced off" the road. She was released after posting $1,000 bond and is scheduled to appear for a hearing Monday in Weakley County General Sessions Court. The organizer of the crowdfunding campaign, who identifies herself as Nicole Mc T, wrote on the page that Wright is a single mother who has been falsely accused and had been trying to speak with Kustoff before the alleged incident. Wright is studying early childhood education at the same campus where Kustoff's meeting took place. A person familiar with the YouCaring page confirmed to BuzzFeed News that its creators know Wright and that she is aware of the campaign. It's raised $250 out of its $15,000 goal since it kicked off Saturday. Wright told BuzzFeed News she could not comment at this time. Her lawyer didn't immediately return a request for comment. "She needs help fighting this story that is being told about her," the campaign summary reads. "She has been calling her Congressman, messaging on facebook, and ultimately paid him a visit in attempts to express her disdain with the Healthcare Vote that recently passed the House of Representatives." Kustoff was attending a meeting at the University of Tennessee at Martin with the dean of school's College of Agriculture and Applied Sciences, Todd Winters, and others in the agriculture department, according to Sgt. Marty Plunk of the Weakley County Sheriff's Department. Though police initially said Kustoff was on campus for a town hall meeting — which was picked up by several local outlets — Plunk told BuzzFeed News that was ultimately a mistake. The representative was meeting with Winters privately and touring the agricultural facilities before going visit a private farm, Campus Safety Director Scott Robbins told BuzzFeed News on Monday. In a tweet, the school thanked Kustoff for "checking out some of our special projects and programs." The crowd funding campaign says, "Congressman K has refused to hold any town hall meetings in his constituency. Multitudes of voters have requested a Town hall, over and over again." Kustoff's district is in the westernmost part of Tennessee, spanning roughly 7,000 square miles. It has a population of about 700,000 people. 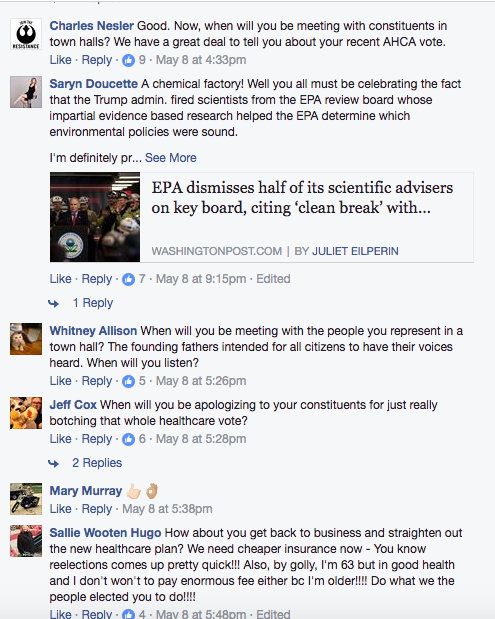 HIs Facebook page shows him with constituents on April 14 — the health care vote was May 4 — though it's unclear if he took questions. He's also made recent stops at Tennessee Tractor, Cutliff Cattle Farm, and two local high schools, and held other industry and business events earlier this year. 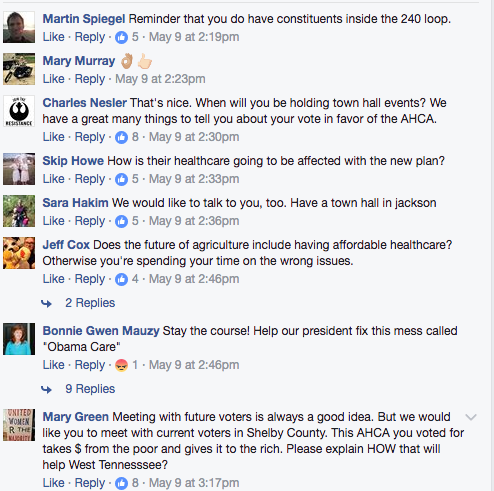 But Kustoff's Facebook page is also littered with comments from people asking him to host a town hall, many of which demand an explanation about his vote to repeal and replace Obamacare. There's also a related change.org petition. 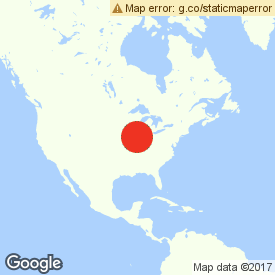 Sharon CanMill, who says she lives in Germantown, Tennessee, Kustoff's hometown, posted: "Congressman your voting record thus far has been very disappointing and the yes vote on GOPcare was shameful...we need a Town Hall meeting in Memphis after 6pm at a venue that can hold at least 200 constituents. We really need to talk." Mark Schmidt wrote: "Congressman...please explain why you voted for legislation that will strip preservation of the pre existing protection?" After Kustoff toured a cattle farm in Fayette County on May 8, a dozen users commented asking for a forum to voice their questions and concerns. "Please hold a town hall meeting! I know you made an appearance at the coffee meeting on 4/18, but I also know that you left before the questions started. People need to talk to you," Peggy Duhamel wrote. Brian Wright, Wendi's brother, told BuzzFeed News Sunday that his sister called Kustoff multiple times before the May 8 incident. After the congressman wrapped up his May 8 meeting at the university, Wright allegedly tried to stop him on campus and talk to him about her grievances, Plunk said. When the congressman drove away in his car, "that's why she began following him," Plunk said, adding that it was for about five miles before the congressman pulled into the driveway of a farmer he was familiar with. When Kustoff's vehicle entered the driveway, police said Wright got out of her car and "began screaming and striking the windows" of his vehicle. At one point she allegedly reached inside his car and then tried to block the vehicle from moving, police said. Plunk said there was a "lot of cursing," and that witnesses "couldn't understand a lot of what she was saying." Someone called 911 during the encounter, but Wright left before police arrived. Authorities later identified her after she posted about the incident on Facebook, the sheriff's department said, but declined to provide details about her post. Plunk said that when police attempted to speak to Wright about the incident and get her side of the story, she refused to cooperate. "That left us with no other choice but to issue an arrest warrant for her and take her into custody," Plunk said. While her brother said he could not speak for Wright, he also expressed a frustration over the Republican healthcare bill, and specifically language that would allow insurance companies to charge people with pre-existing conditions higher premiums in states that choose to do so. "There are a lot of pre-existing conditions that would leave people without a way to even be insured. A lot of folks will be without insurance," he said.